Head of an Irish family of immigrants from Belfast, Daniel Toomey is a constable in the Port Phillip District during the gold rush of the 1850s. His son, sixteen year old Patrick, his mother and four sisters, are victims of his drunken brutality until it ends when Patrick finally stands up to him. Seamus is Patrick’s best friend and like a brother to him. They work together on the docks unloading cargo. When the tyrannical Daniel is killed, the Toomey family’s life takes a turn for the better. Michael Macevoy is the owner of the local tavern, and a rich man from his many enterprises, and well respected throughout the area. He offers Patrick and Seamus the chance to be part of his new venture. They jump at the chance to operate a transport business of supplies to the goldfields of Ballarat, a lucrative but dangerous job due to the bushrangers. Michael later takes on a more personal role in the Toomey family. Young and enthusiastic to build a new life, the friends embark on the adventure of their lives. They meet the so-called bushranger Martin Riley who carries a silver pistol, and is wanted dead or alive. What is Martin’s connection to Michael Macevoy? They also meet a Chinese family that becomes an important part of their lives when the boys save them from Jack Lawrie, an escaped criminal that threatens their lives. 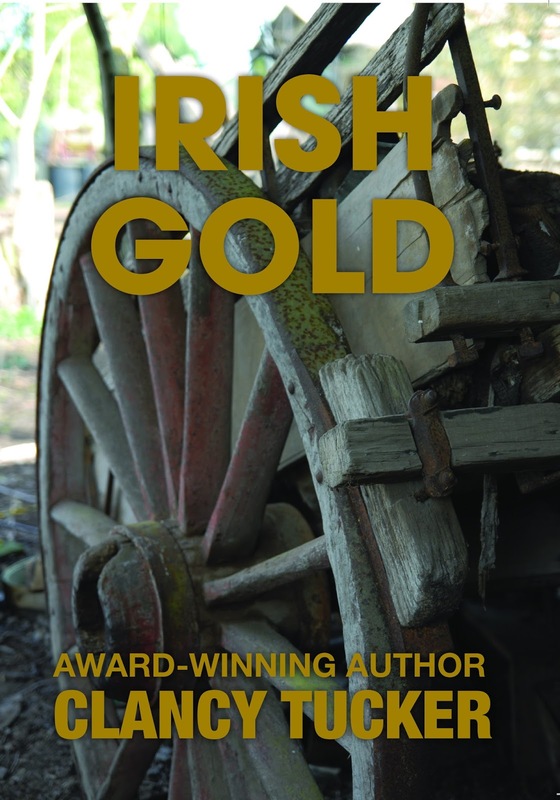 Clancy Tucker has built another exciting Australian story filled with interest and information about the rich multicultural population of the goldfields, the difficulties people had to contend with, and the loneliness of the men. The last is a strong element in the story. Few women accompanied their husbands to the goldfields. Many of the men were young or single, and unprepared for the hard work and isolation from families that they encountered. Although the work was back-breaking, strong friendships and camaraderie existed between males as they depended on each other for support, companionship and survival. Irish Gold is a story with mystery, romance and high adventure woven into the main theme of life during the gold rush, one of the most significant times in Australian history.